My eighth novel came out on 4/24/2012. I have to pinch myself sometimes when I think of the fact that I have eight novels and two anthologies on bookshelves worldwide - that my books are sold in Japan, in London, in the Carribean, and that I have readers all over the world! I feel very accomplished for someone who is just in my late thirties with (I pray) many more years ahead of me and tons more stories to tell. And yet...I want MORE! I want to write for a magazine. I want at least one feature film to be made based on one of my books (White Lines, preferably). I want to write for TV. I want to host a TV talk show. I want to write a memoir, a historic women's fiction novel, a children's book. I want to WRITE on such a grander scale than I currently do. And I have so much to say! I want to change the way people think and inspire people to dream BIG! And this year, I am DETERMINED to make big strides towards my goals. Step one was parting ways with my old agent and beginning my search for a new one. Agents are a vital part of a career. They are the ones who fight for your money, your promotion and marketing and they are your go-to people for the steering of your career. I am EXCITED at the thought of working with someone new who will be able to guide me toward the best opportunities. So for the past couple of weeks I have interviewed prospective agents and met with them to determine if they are the right person to help me move to the next level. The process has been fun and a real thrill. But now comes the hard part. DECISION TIME. I hope that you are blessed with the best! And being that you are my favorite author, I want to see you do all the things you dream and more! And plus a movie to White Lines, it couldnt get any better! 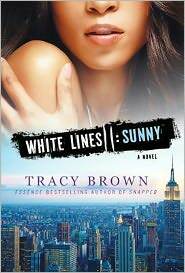 I follow alot of writers and you are one of my favorite...I loves white lines...I can see jada pickett smith playing sunny...how long before book 3 comes out? I read the ex blog and that was me hands down....i was in a relationship for 14yrs..and reading that...that was my life....best of luck to you in everything you do. I'm your favorite?? Thanks! I'm very honored! I'm working on book 3 now. It will tie up all the loose ends. I'm excited about it! I'm glad you identified with the Ex-Factor blog. Hindsight is definitely 20/20. I am so proud of you. 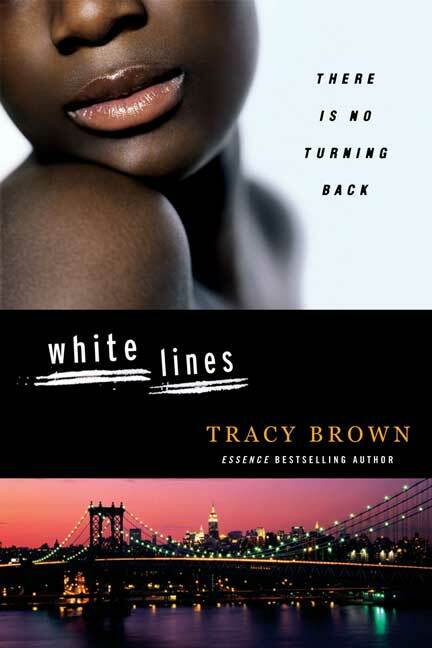 I came across White Lines when I was about 18...I'm 22 now and it's still my favorite book. Seeing White Lines as a movie would simply give me life. Lol. One of my goals before I die is to have a book of my own published. You are my biggest inspiration for that. You are a great storyteller and I wish you tons of success! I just finish reading White Lines a week ago and immediately hand to get my hands on White Lines II already finished it. All I can say is you are now one of my top 5 dead or alive. I had to tell all my Facebook friends about it. I told them Coldest Winter Ever was my all time favorite but now White Lines is at the top of my list. In the matter of 1 week these characters are all I could think about. It was great timing because of a break up that I am currently going through. Then I discovered your blog and read the one you wrote about the Ex and geez I needed to hear that. I am now reading Criminal Minds since White Lines II has peak my interest in those characters. Thank you for keeping me busy. Your new fan! Dawn, your post made my whole day! XOXO It's great to know that my work has been a blessing to you. Keep reading and I will keep writing. Much love!